The acceleration grid power supplies for SPIDER and the diagnostic neutral beam are similar with respect to their technical specifications and intricacies. 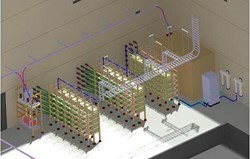 Pictured: a 3D view of the acceleration grid power supply hall. Part of the Neutral Beam Test Facility, the SPIDER test bed is designed to finalize the development of the ion sources required for the ITER neutral beam injectors and to test all essential aspects of the diagnostic neutral beam accelerator. Together with MITICA, a full-scale test of ITER's heating neutral beam injector, SPIDER will help resolve challenging physics and technology issues and validate concepts before the neutral beam system is built at ITER. Europe, Japan and India are contributing components to the Neutral Beam Test Facility, which is under construction in Padova, Italy. On 29-30 August, the Indian Domestic Agency (ITER India) hosted the final design review for the acceleration grid power supplies for SPIDER and also the diagnostic neutral beam. The acceleration grid power supplies for both systems are similar with respect to their technical specifications (system rated for 96 kVDC, 75 A) and intricacies. However, one will be installed at the Neutral Beam Test Facility (SPIDER), while the other will be installed directly at ITER to power the diagnostic neutral beam. 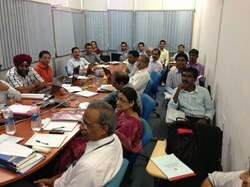 The final design review for the acceleration grid power supplies took place on 29-30 August in India. The way is now paved for manufacturing activities to begin. Under separate Procurement Arrangements, India is responsible for the design, procurement, supply, installation and integration of the acceleration grid power supplies for SPIDER and the diagnostic neutral beam. To fulfil its commitment, ITER India concluded a Memorandum of Understanding with a leading manufacturer in India—the Electronics Corporation of India Ltd (ECIL). Under this arrangement, ITER India has placed contracts for design, manufacture, supply and testing. 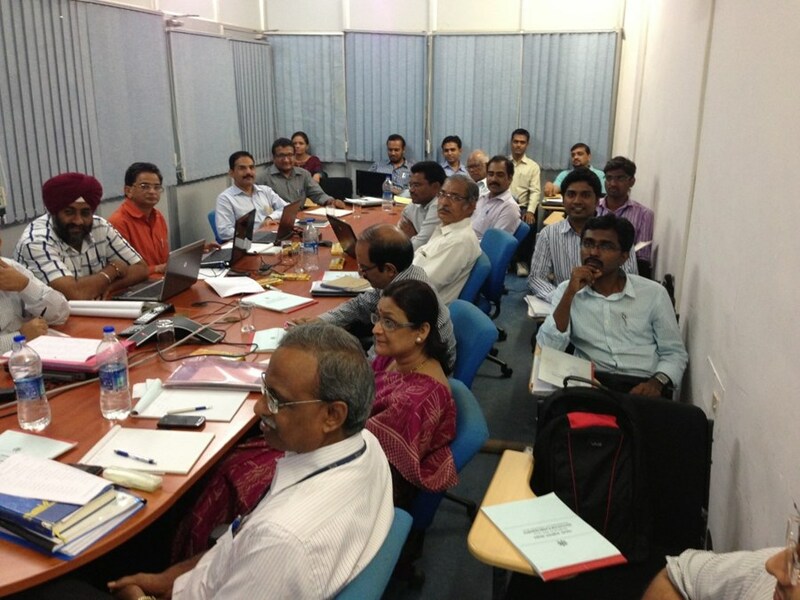 Late August, experts from India's Institute of Plasma Research, the manufacturer ECIL, industry and ITER India participated in the final design review, with the remote participation of experts from the ITER Organization, the European Domestic Agency, the Culham Centre for Fusion Energy (CCFE) and Consorzio RFX (host to the Padova test facility). The review panel appreciated the untiring efforts of all involved in the development of the design. Only one category 1 chit and 13 other category chits were raised during the final design review; experts gave very useful suggestions that will be taken into account by ECIL. The closure of the final design review on 16 September with the resolution of the category 1 chit and ten others now paves the way for initiating manufacturing activities.